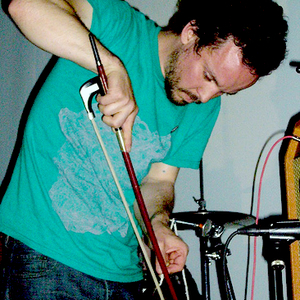 Jefre Cantu-Ledesma is a multi-instrumentalist and member of several bands, as well as the co-founder of the Root Strata record label based out of San Francisco, California, United States. Since 1995, he has recorded and toured in the United States, Europe and Japan. Cantu-Ledesma got his start in the band Tarentel. He was one of the founding members and is still a primary figure in the band's lineup. In addition, Cantu-Ledesma is, and has been, involved in a slew of other musical projects including The Holy See, Colophon, The Alps, Maholy Nagy, Josephine, and Isadore Ducasse, among others. Cantu-Ledesma moved from San Francisco to Germany in 2011, where he currently lives and works. His label, Root Strata, is highly regarded by the drone and ambient music community and has an extensive catalog that includes artists such as Tarentel, Grouper, Ilyas Ahmed, Barn Owl, Starving Weirdos, Oneohtrix Point Never, Gregg Kowalsky, Charalambides, Yellow Swans, Richard Youngs and many more.